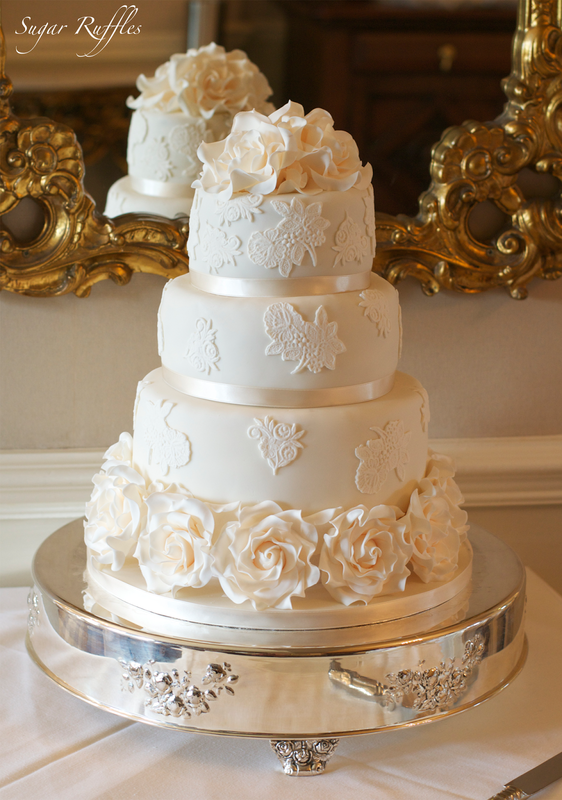 3-tier wedding cake with lace and ivory sugar roses below the bottom tier and on top delivered to Merewood Country House Hotel for the wedding of Anne and Shaun. Congratulations to the happy couple! Bottom tier- vanilla bean, middle tier- carrot cake and top tier- chocolate. Guests were also treated to lemon cake pops decorated with sage green and lilac flowers. 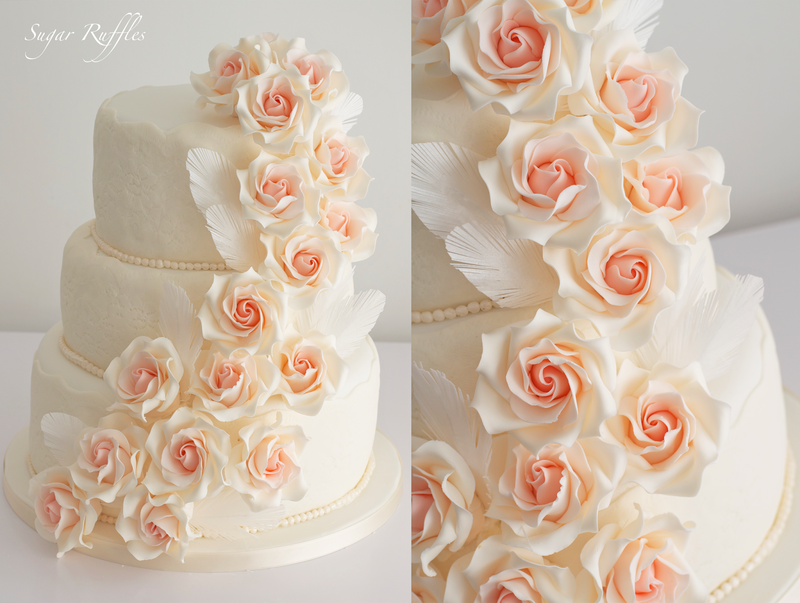 3-tier wedding cake with embossed lace, pearls, cascading sugar roses and rice paper feathers. Delivered to Low Wood Bay Hotel for the wedding of Karina and Joe. 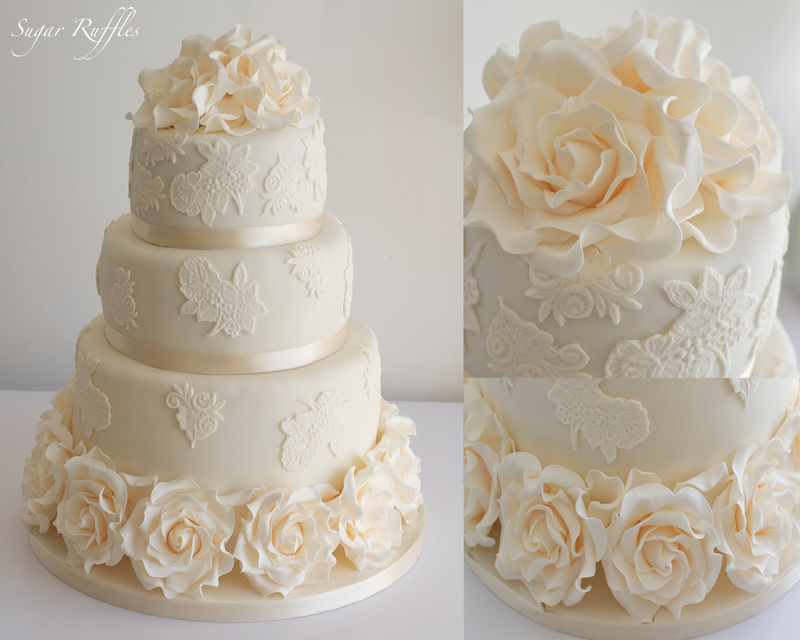 Bottom tier- caramel, middle tier- white chocolate and passionfruit and top tier-summer berries. are the roses on the bottom in a dummy tier? Hi Donna, thank you! 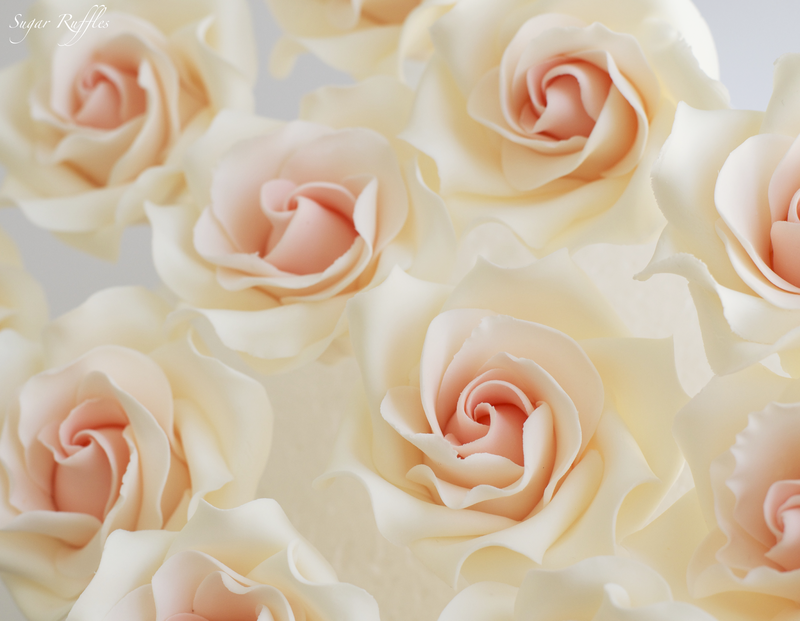 Yes the roses are in a dummy tier at the bottom of the cake.